All round views of the setting of the "Owl Barn" holiday cottage. Details of the cottage, photos of all the rooms and a floorplan. Pictures of this quiet Lake District valley and some local links. Pictures taken around the cottage and lots of visitor's comments. What dates are vacant, how to book, and the inclusive prices. The Owl Barn at Hawes Farm. two in the Lake District.
" At home in the Netherlands, we could not imagine how beautiful the cottage and the scenery would be. …an absolute pleasure staying here, a little paradise." 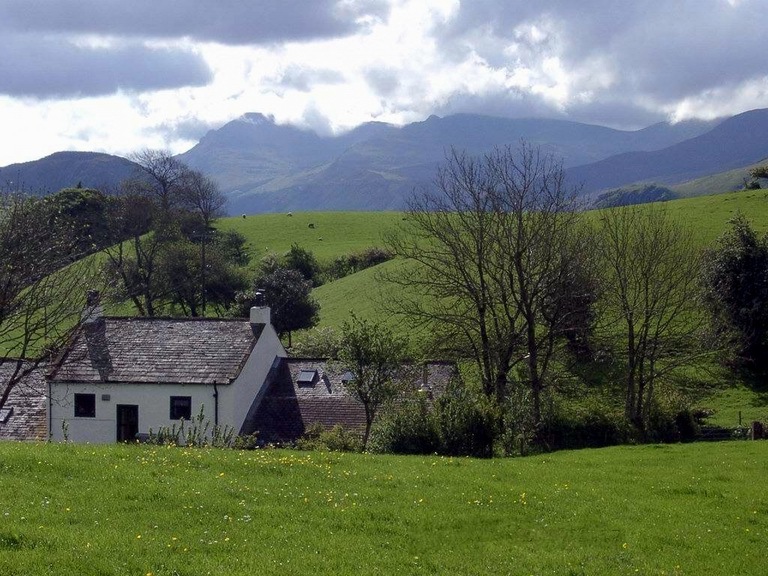 The cottage with the Ennerdale hills behind.